Readers vote National Championship Air Races the best American air show! There's nothing quite like the high octane energy of an air show, where stunt teams and pilots show off their skills. 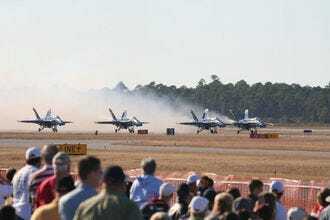 Attending one of these 10 American air shows, a selection of the best in the nation according to our readers, lets aviation enthusiasts get up close to a variety of flying machines (and you don't have to be an enthusiast to have a good time). 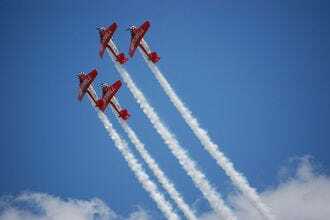 While the annual National Championship Air Races in Reno every September has its fair share of airplane acrobatics, the real reason pilots come back year after year is for the racing. 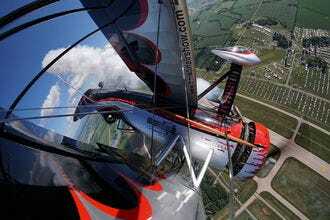 Six classes of aircraft go head to head on 3- to 8-mile race courses in the sky. 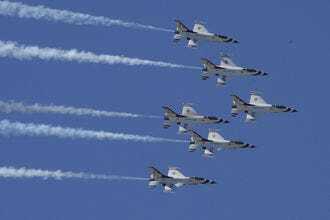 The town of Oshkosh, Wis. hosts the largest annual gathering of aviation enthusiasts in the country during the EAA AirVenture Oshkosh. 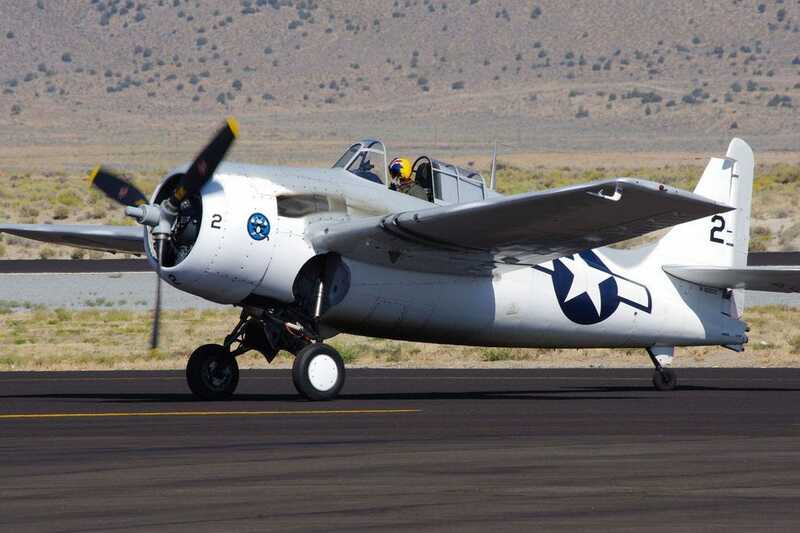 With more than 10,000 aircraft in attendance, there's a little bit of everything represented, including warbirds, home-built aircraft, ultralights and vintage planes. 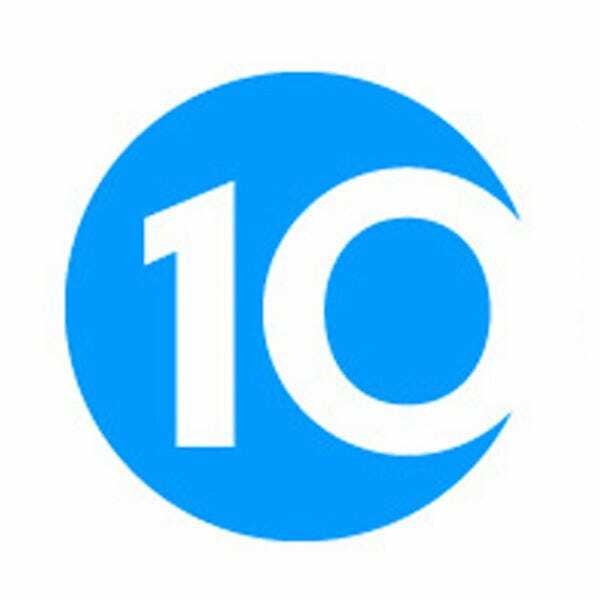 This mid-summer event in Michigan is an air show and balloon festival rolled into one. The show's signature event is the Tora Tora Tora act, a commemorative reenactment of the bombing of Pearl Harbor featuring eight replica Japanese aircraft and some 60 pyrotechnical effects. The NAS Pensacola Blue Angels Homecoming Air Show celebrates Veteran's Day and features night time performances as well as one of the largest fireworks displays in the Pensacola area. 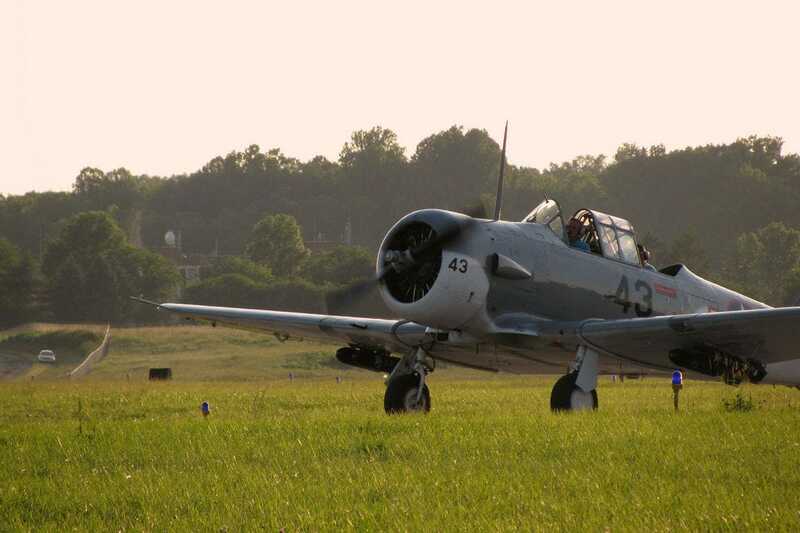 Reading Regional Airport plays host to one of the best air shows for WWII buffs: the Mid-Atlantic Air Museum WWII Weekend. Highlights include FIFI, the only flying B-29 Boeing Superfortress in the world, as well as a performance by the World War II Airborne Demonstration Team. Flight enthusiasts can even book a ride in a warbird. 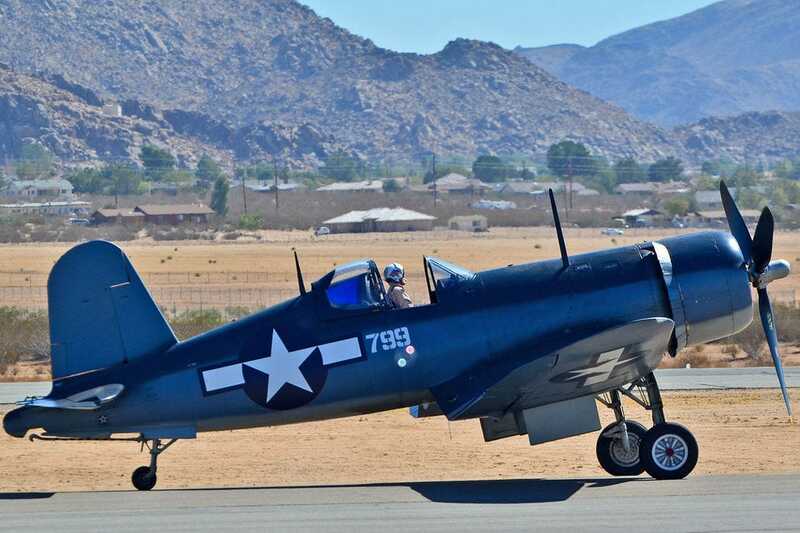 The Planes of Fame Air Museum in Chino, Calif. is the setting for the annual Planes of Fame Air Show. This show, popular with aviation and history buffs alike, features some 50 vintage aircraft in the sunny California skies. Come autumn, pilots take to the very same skies where the American classic Top Gun was filmed during the MCAS Miramar Air Show in San Diego. 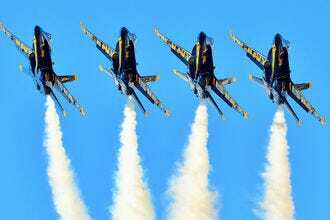 It's the largest military show in the United States, and spectators are treated to a performance by the Blue Angels each and every year. 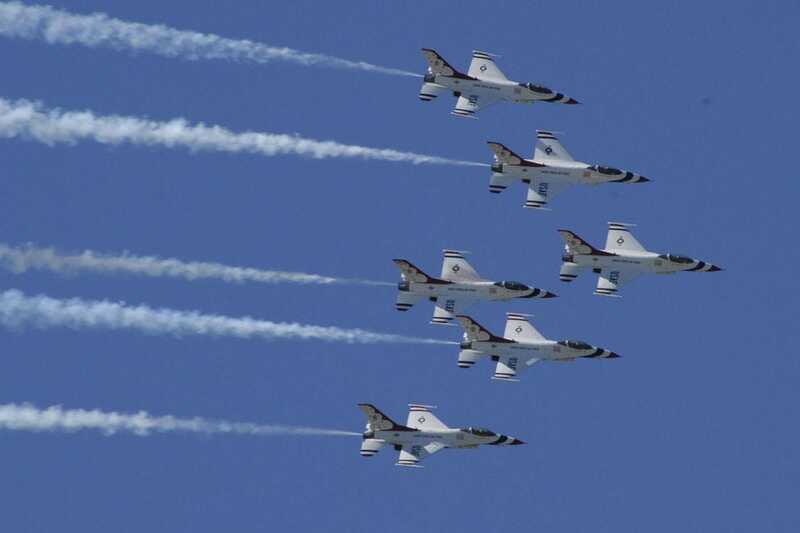 The Vectren Dayton Air Show packs two days with more than a dozen aerial performances. Those who want a closer look will find 24 aircraft on display, including the F-35 Lightening II, the newest jet fighter in the U.S. armed forces. 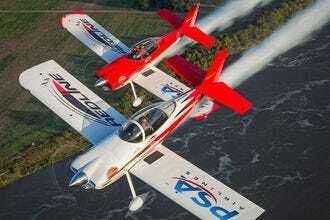 Florida's Sun 'n Fun International Fly-In & Expo, an early-season event, invites solo pilots, military stunt teams and aviation exhibitors to Lakeland, Fla. for plenty of family fun. Enthusiasts who've ever wanted to go up in one of these more eclectic aircraft will have plenty of opportunity at this show. 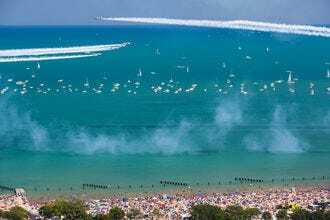 Each summer, millions of visitors flock to the Chicago lakefront for a spectacular display of aerial and nautical stunts: the Chicago Air & Water Show. 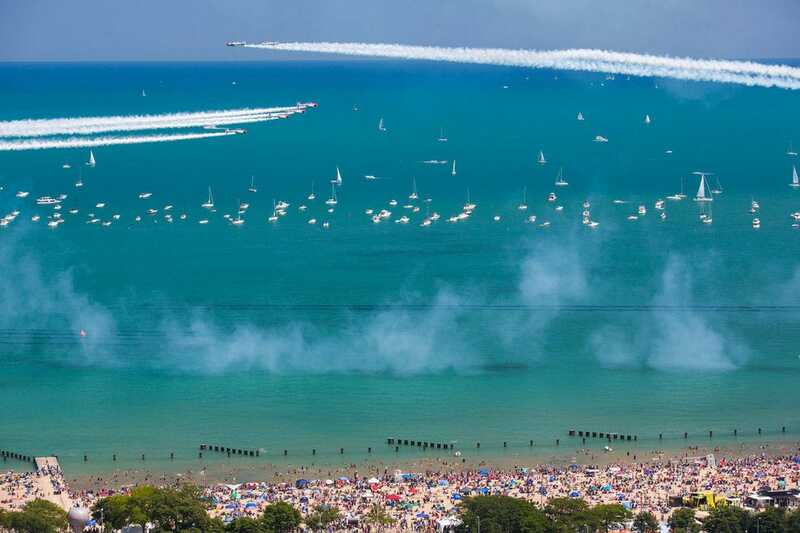 Everything from military fighter jets to civilian aircraft to water skiers are visible from the beach stretching from Oak Street to Fullerton Avenue. 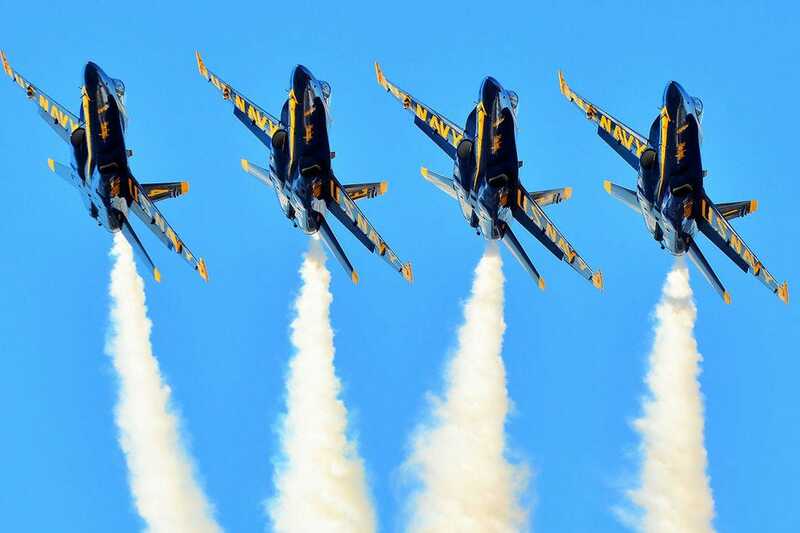 The U.S. Navy Blue Angels are always one of the highlights of the weekend, which has been running for more than 50 years. EAA AirVenture Oshkosh - Oshkosh, Wis.
Battle Creek Field of Flight Air Show - Battle Creek, Mich.
NAS Pensacola Blue Angels Homecoming Air Show - Pensacola, Fla.
Mid-Atlantic Air Museum WWII Weekend - Reading, Penn. Planes of Fame Air Show - Chino, Calif.
SUN 'n FUN International Fly-In & Expo - Lakeland, Fla.
Congratulations to all these winning events! Remember to mark your calendars and keep your eyes on the sky.